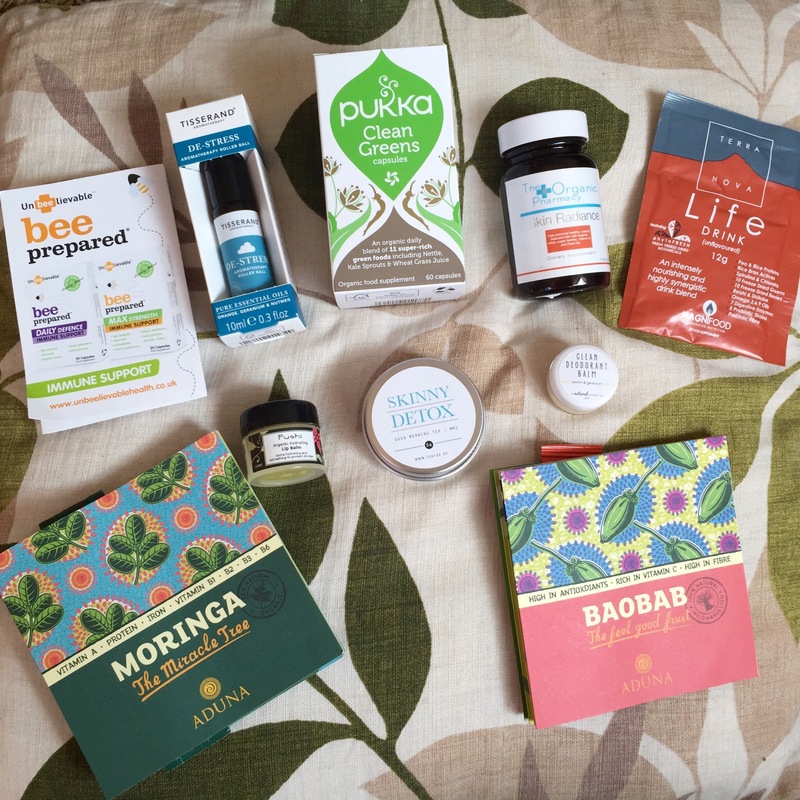 I’m really into healthy living products and always on the hunt for a good bargain, so when I got the email last week from Naturisimo about the Naturisimo Clean Living Health Box (worth £44) for £19.95 incl delivery I quickly ordered one. I love these boxes as they are a great way to try new products and excellent value for money. The EXCLUSIVE Clean Living Health Box contains 10 full and trial size wellbeing products, so that you can step into autumn full of vitality, radiance and good health. 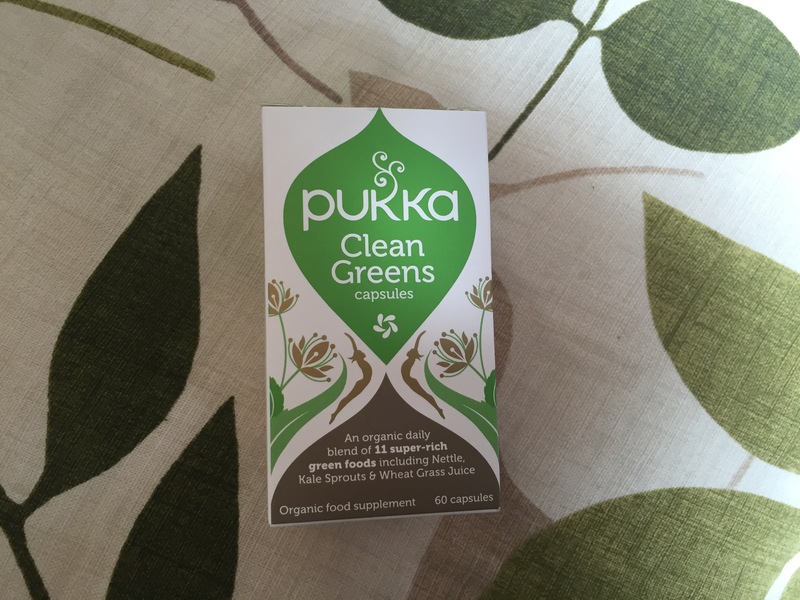 An organic daily blend of 11 super-rich green foods including Nettle, Kale Sprouts and Wheat Grass Juice to help improve digestion, skin and general wellbeing. This is my first time using this and I think it’s a great blend. You take 2 capsules twice a day with water before food or between meals. 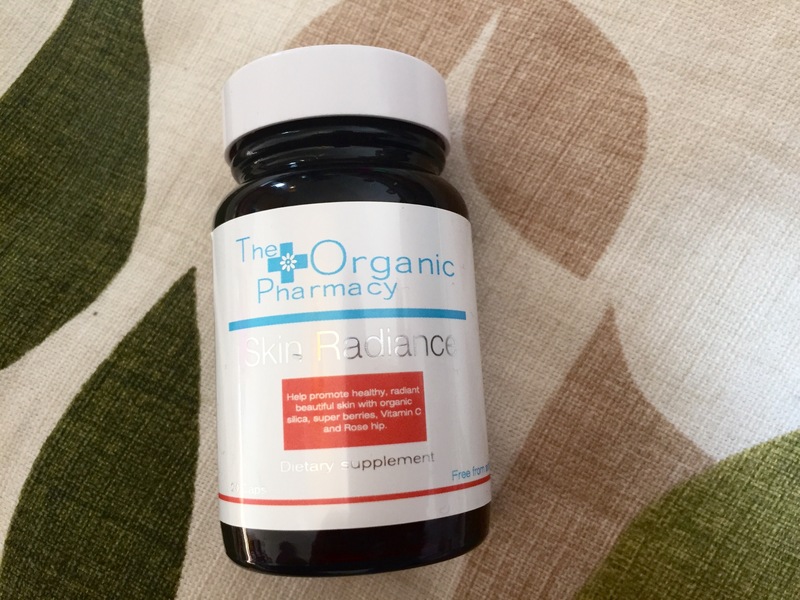 The Organic Pharmacy Skin Radiance is a dietary supplement to help promote healthy, radiant, beautiful skin thanks to a highly nutritious formula of organic silica, super berries, Vitamin C and Rosehip. 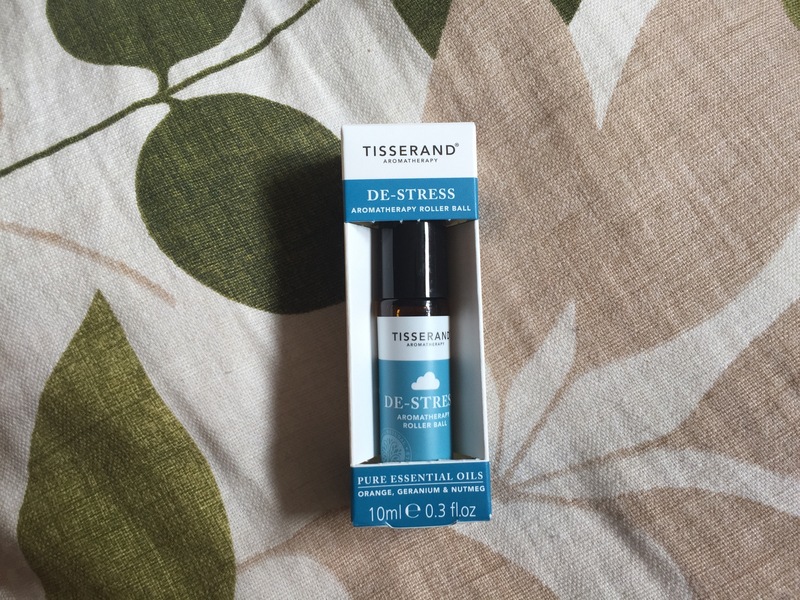 A 100% natural aromatherapy fragrance, ideal for frazzled moments when calm is needed. 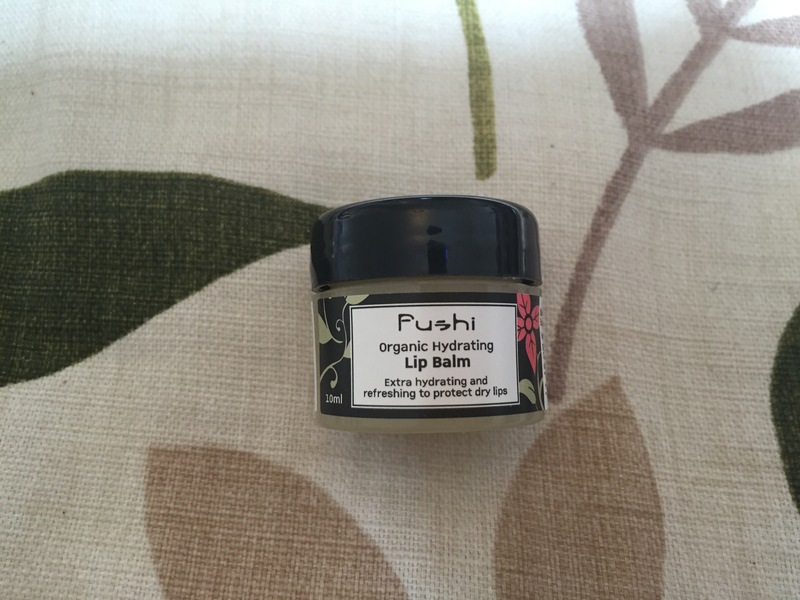 A 100% organic, nourishing and hydrating award winning lip balm that works especially well for dry lips and lasts for hours. I already own this lip balm and love it. It has a lovely minty scent and keeps my lips hydrated. 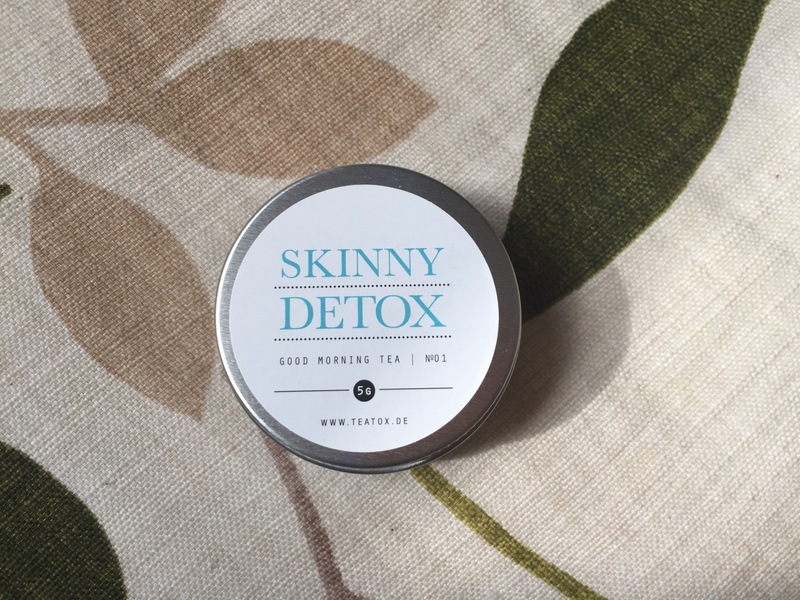 A delightful invigorating morning tea made from the finest organic ingredients to gently kick-start your day, giving you the best support possible during a detox. Now you all know I love my herbal tea, I enjoyed this tea, it tastes great and I would love to try some more. 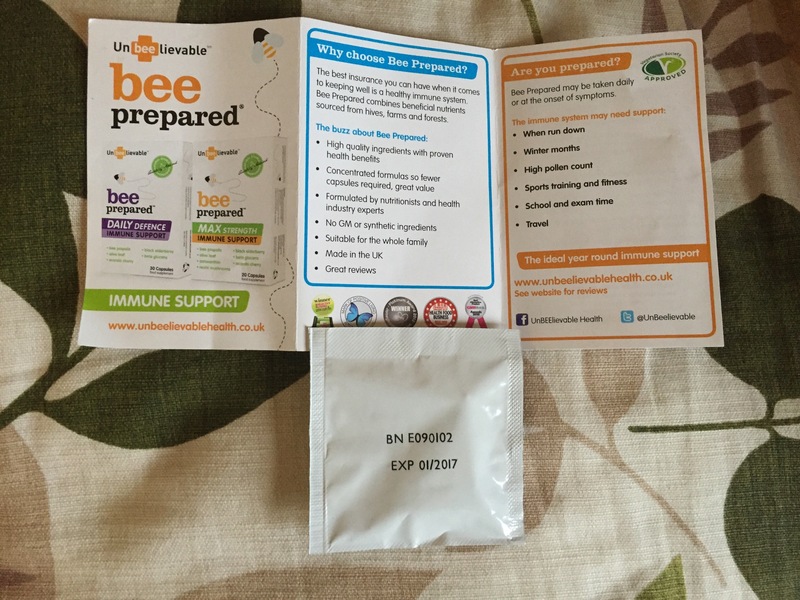 A unique blend of high quality immune boosting ingredients from the hive, field and forest, to help support the body’s natural defences year round. Capsules can be opened and mixed into yoghurt, juice or smoothies for those unable to swallow or children. Definitely a must have for boosting your immune system especially as we’re coming into the winter months. 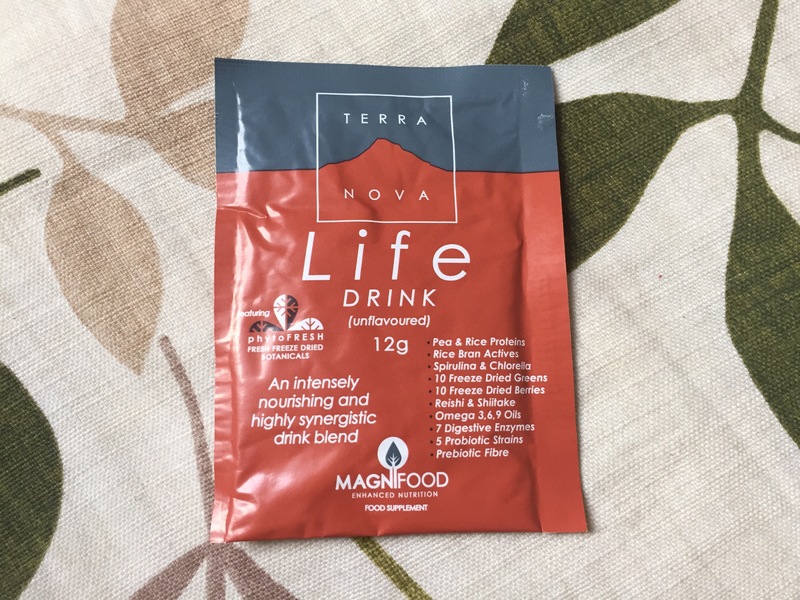 A daily powder drink, packed full of phytonutrients, micronutirients, vegetable protein, enzymes, EFAs and beneficial bacteria – 100% active ingredients without additives and fillers, for optimum vitality. I enjoyed this blend. It can be mixed in juice or blended into a smoothie. I mixed with plain water so see what it tasted like, and I quite liked it. 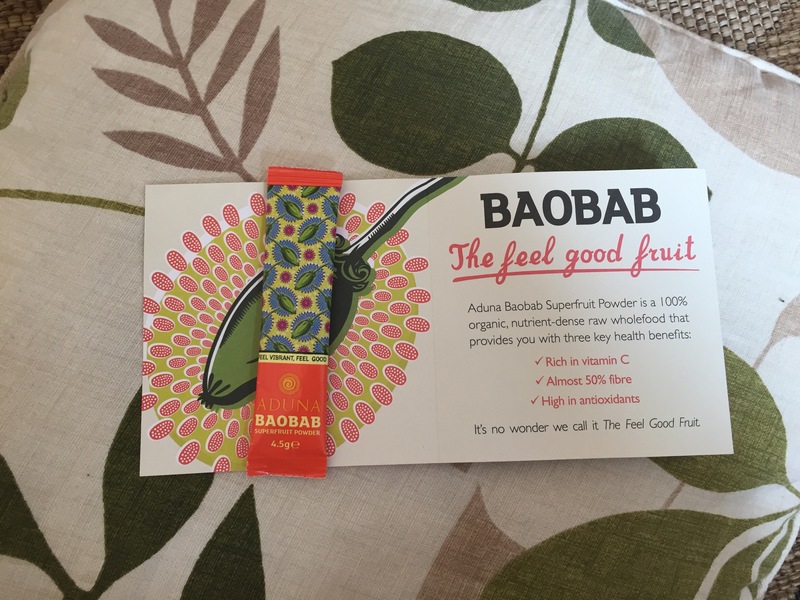 A 100% natural, fibre filled raw wholefood, a rich source of vitamin C, calcium, potassium and thiamin and one of the highest antioxidant capacities of any fruit in the world. A 100% organic green superfood, one of the most nutrient-dense foods on the planet. Blend into your favourite shake or smoothie recipe, or sprinkle on to salads and soups. 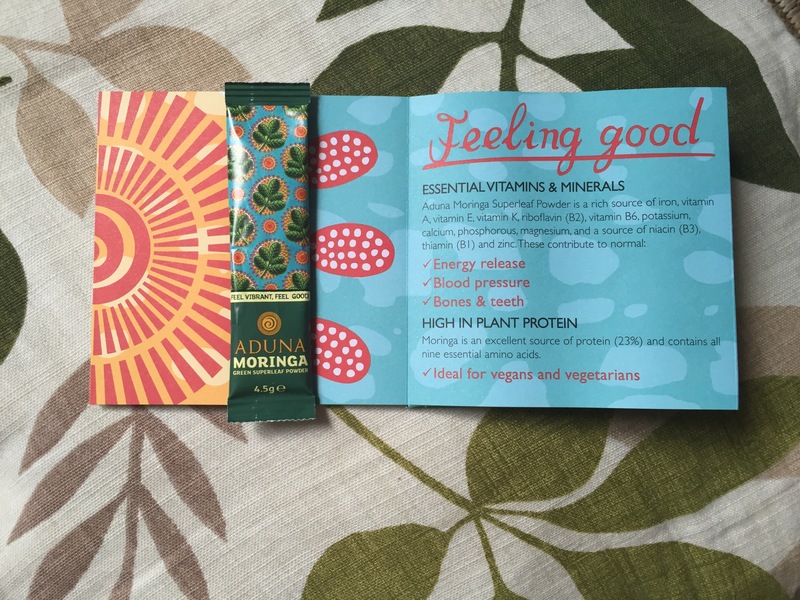 Moringa has a strong spinach like flavour and I prefer to mix this into a smoothie. It is definitely one of those superfoods you should include in your meals. 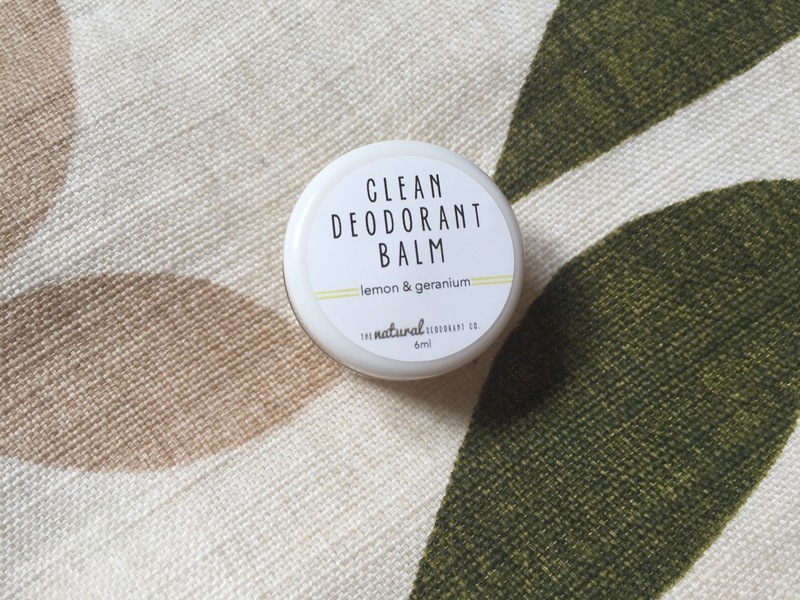 An amazingly effective all-natural deodorant with a delicate lemon & geranium scent. My friends think I’m quite the mixtress and during the summer I made my own deodorant balm with similar ingredients. I have to say this deodorant balm is very effective (hmmm even better than the one I made).